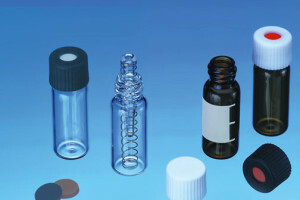 In chromatography a wide variety of glass or plastic vials are used as sample containers for analysis. As they are mainly used within auto samplers or other automatic instruments, strict obedience of their dimensions is crucial for trouble-free operation. La-Pha-Pack, with their eye for detail always ensure strictest adherence to these physical properties thus ensuring that you always get vials that are compatible with your instrumentation!